Timeless modern, high-quality towel rail. The raw and almost industrial expression is clear in the towel bar. The bar has a rubber covered groove, which creates a level and non-slip surface. 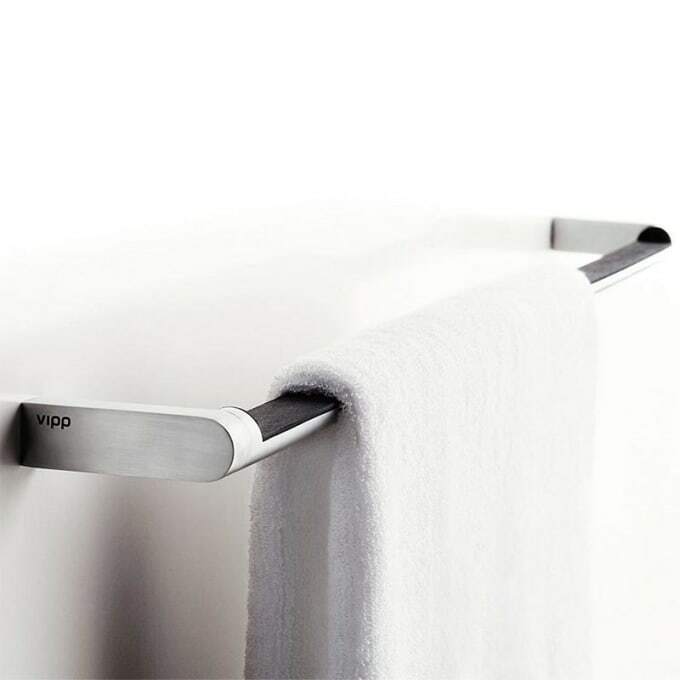 Together with the shower shelf, toilet roll holder and hook, the towel bar provides subtle details in solid stainless steel and durable rubber in style with the Vipp collection. Do you have a question about "Vipp 8"? How can we contact you?